I've never experienced a collection of short stories quite like those in Get In Trouble by Kelly Link. This volume of nine tales runs the gamut from slightly surreal (Summer People) to the downright disturbing (New Boyfriend) but all have one thing in common: they leave the reader feeling that his or her own world is slightly more tilted than before. In the purest example of short story beauty, each story's setting is a delicate backdrop for its unusual events while the characters grab the reins and drive the action. Not all of the characters, however, are the type one can relate to. Some, like Maureen in Two Houses and Mint from New Boyfriend, aren't even human. Others, like Paul Zell of Secret Identity, we never see at all. Somehow Kelly Link seems to use this character detachment in very clever ways to get under the reader's skin and make the stories of Get In Trouble that much more memorable. Balancing on a thin line between realism and fantasy, Link both transports the reader with her strange tales and exposes the raw and sometimes ugly reality of what it's like to be truly alive. 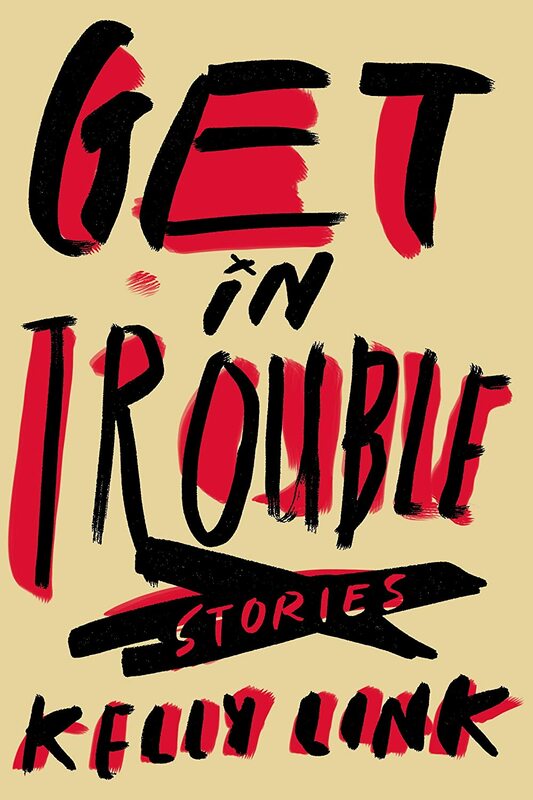 Get In Trouble is an oddly moving collection that beautifully demonstrates the author's comfort and expertise with the malleable craft of writing. Like a modern day Poe, Kelly Link has managed to elevate the short story to so much more than just a brief entertainment.